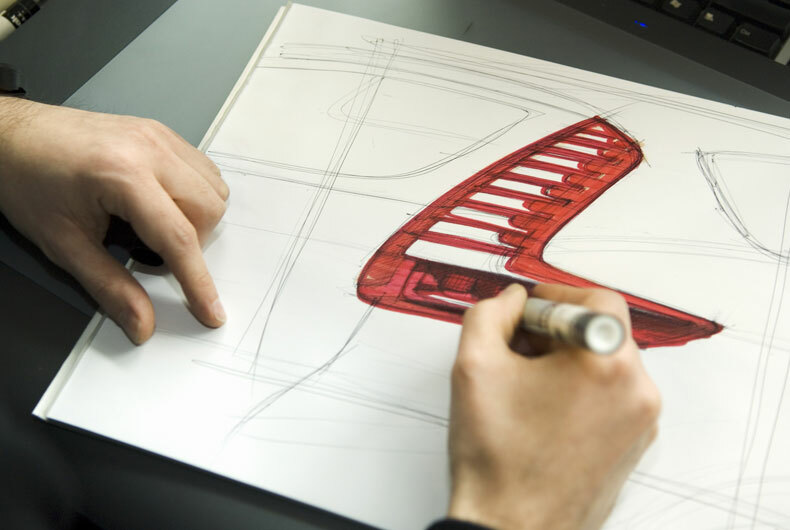 While staying true to its original values of comfort, practicality, useful technology, safety and responsible performance, Scénic has evolved through successive generations over the last two decades. 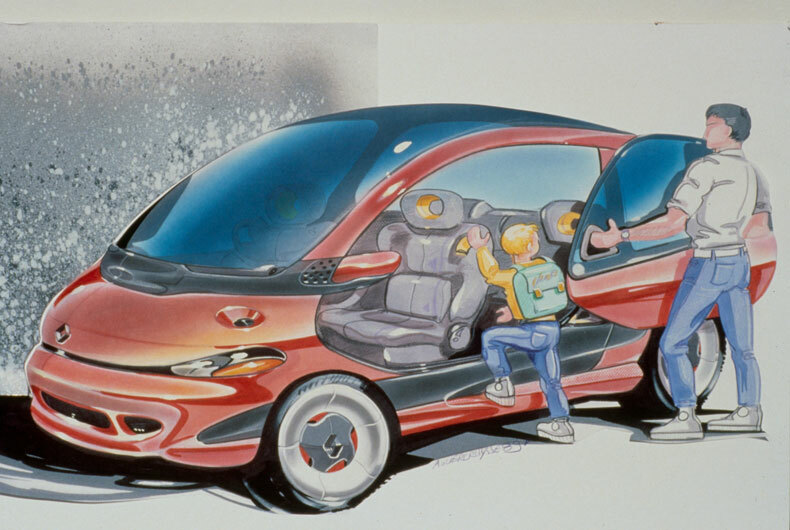 The Megane Scenic concept car, dreamed up by Renault design chief Patrick Le Quément, made its début appearance at the Frankfurt Motor Show in 1991. 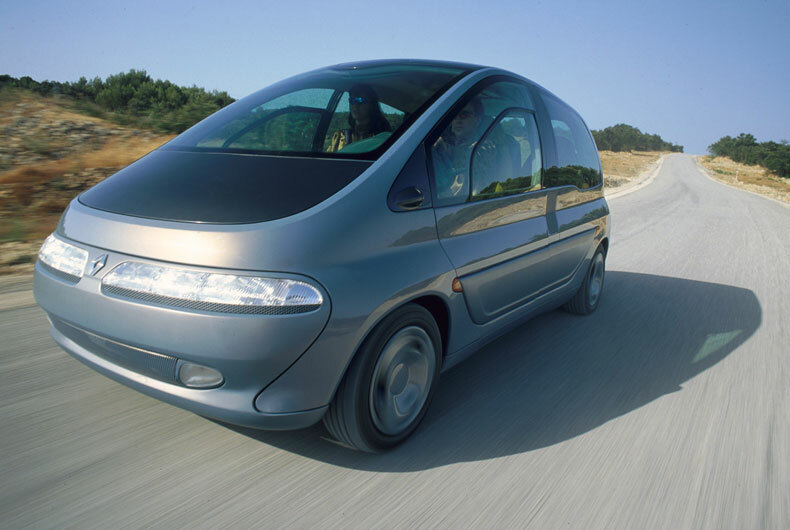 It prefigured the first compact family MPV, Megane Scenic, which was released in 1996 to fill the gap between Espace, Renault’s large MPV, and Twingo, its minivan-styled city car. 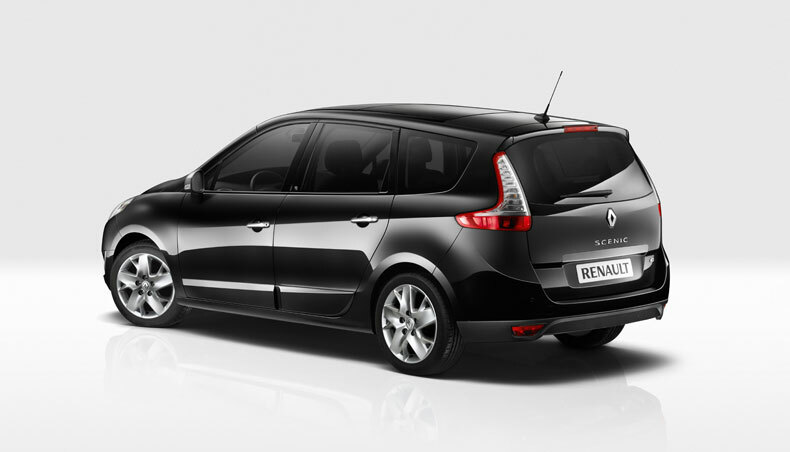 Megane Scenic typified Renault’s voitures à vivre claim of the nineties, with its smooth rounded styling and highly practical stowage cubbies, hugely appreciated by passengers young and old. 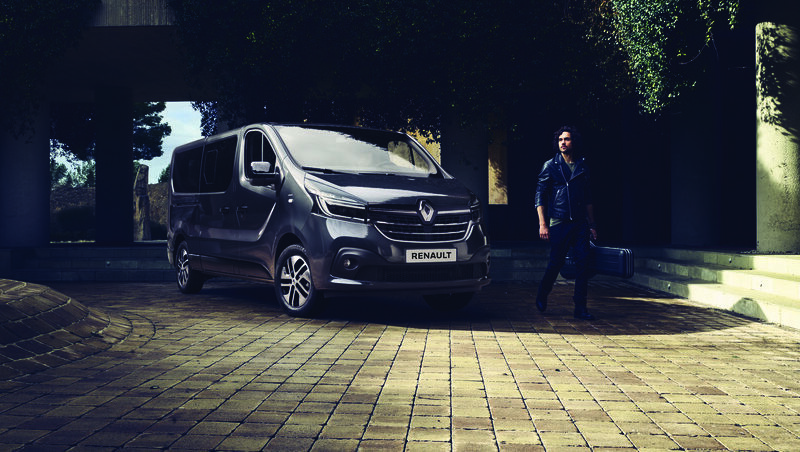 With features such as three independent rear seats, foldaway meal trays in the backs of the front seats, under-floor stowage, and capacious boot, Megane Scenic opened a whole new dimension to family travel. The freedom factor was further intensified by a dual electric sunroof, bringing light and a delightful impression of being out there in the open air. The first-generation Megane Scenic proved highly successful. It was voted Car of the Year in 1997. Following in the footsteps of its illustrious forebear, Scenic II appeared in 2003. As well as building on the design virtues that had proved so successful on Scenic I, with its warm, welcoming interior, Scenic II also brought in the assertive lines of the second-generation Megane Hatch, to pull off the remarkable challenge of combining the spacious practicality of a minivan with the driving pleasure of a dynamic hatchback. To meet motorists’ needs across the broadest possible spectrum, Scenic II pioneered in offering several versions: a short five-seater version and two long versions, with five or seven seats. As ever, versatility and lifestyle were the prevailing virtues, showing through in features such as the interior communication mirror, the fold-flat front seat and the sliding central stowage cubby. 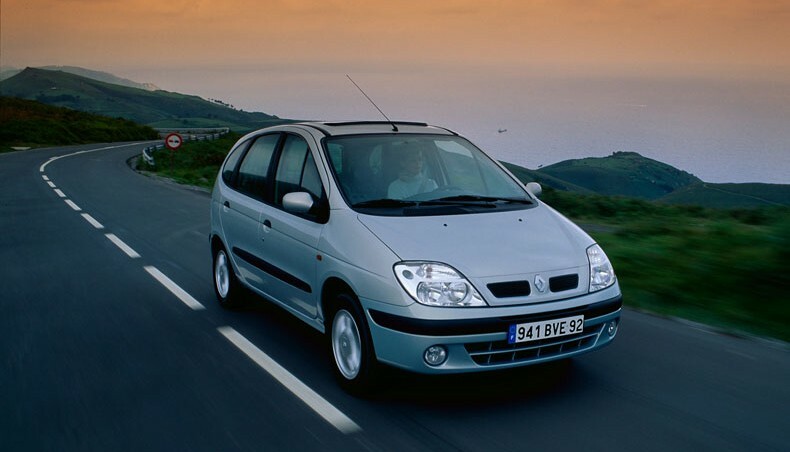 In 2003, Scenic II obtained a five-star rating in the EuroNCAP tests. 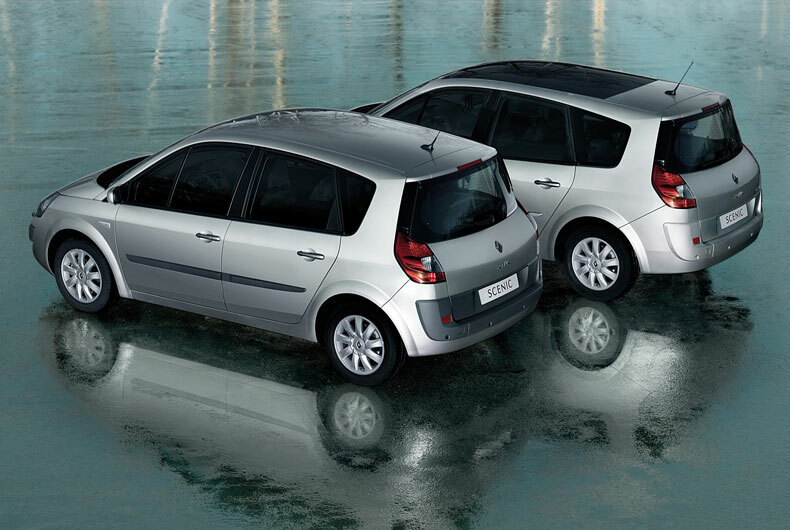 In 2009, Renault released New Scenic and Grand Scenic, two models with very different designs, expressing different personalities. 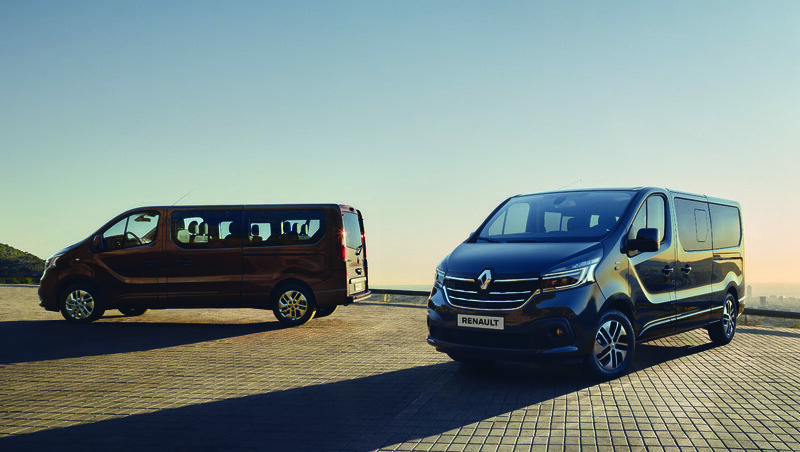 The third-generation Scenic took lifestyle ad comfort to new heights, offering wider front visibility, generous knee-rom for the rear-seat passengers, best-in-class stowage space, etc. The central console would host a multimedia panel along with the main car controls. Drivers appreciated the optimized driving response of Scenic III, whose chassis upgrade brought reassuringly predictable roadholding. The new engines were both powerful and environmentally sound. 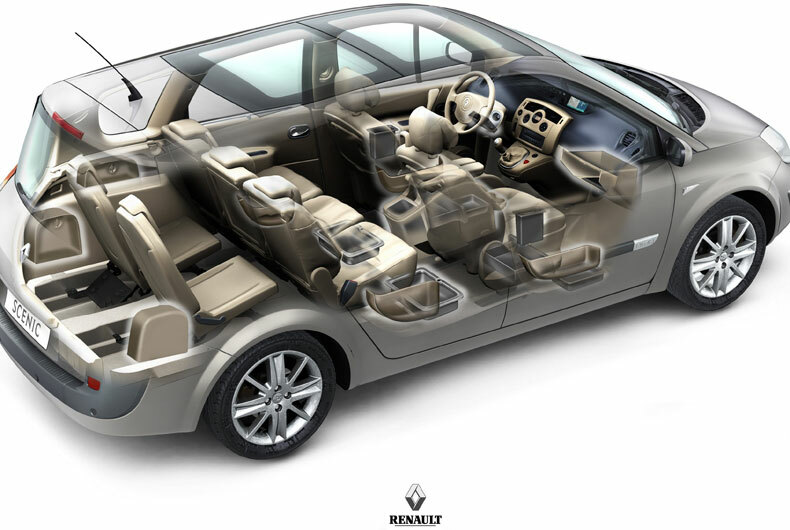 Scenic III obtained a five-star rating in the EuroNCAP tests. 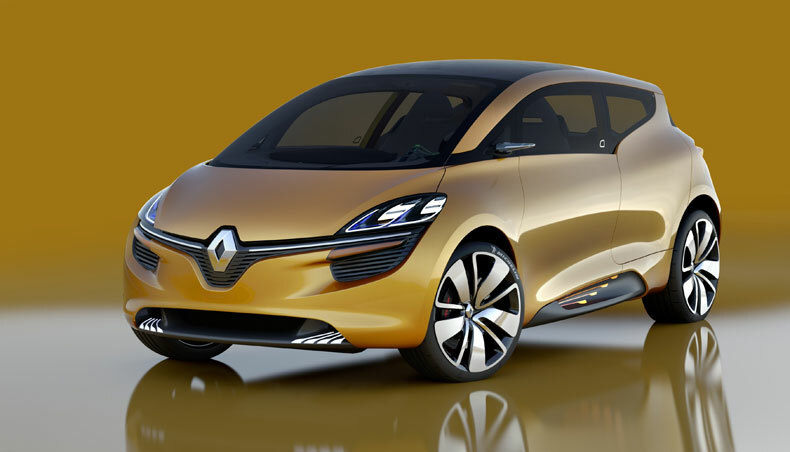 This exciting concept car would prefigure the fourth-generation Scenic, to be unveiled soon! 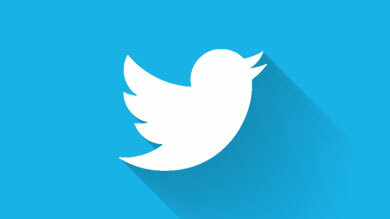 Watch out for the next episode in this enthralling saga, coming ... soon on our website! And to wait, do not hesitate to watch the "Scenic story clip"!